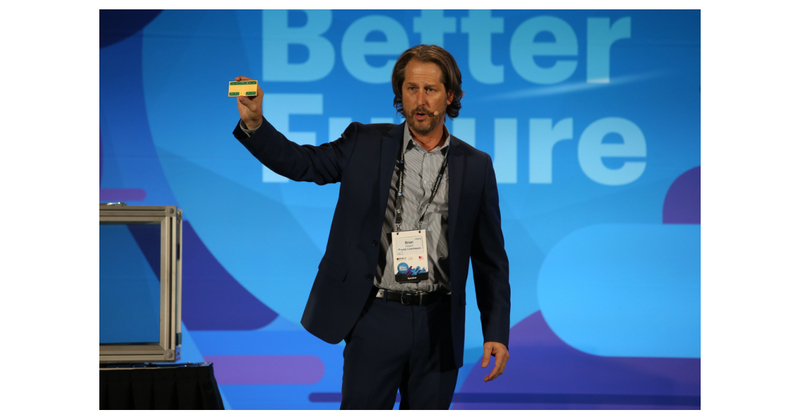 KIRKLAND, Wash.–(BUSINESS WIRE)–Pivotal Commware demonstrated its Holographic Beam Forming™ (HBF) in front of a live audience at Mobile World Congress Americas in Los Angeles on September 14th. Like its recent Gigabit+ outdoor test, this 28 GHz indoor demonstration featured Pivotal’s Echo 5G™ affixed to the double-paned, low-E glass surface of a simulated home. The product was positioned directly in front of and at a 45-degree angle from a simulated 5G base station. In both cases, Echo 5G was able to acquire the base station signal and boost it through the glass to achieve full-speed throughput. Pivotal Commware is the creator of HBF, a disruptive and game-changing new technology that expands the capacity and spectral efficiency of 4G and 5G networks to address the rapid growth in wireless data consumption. HBF enables software-defined antennas to increase spectrum efficiency by focusing radio signals where they are needed most, like spotlights in a theater. Further, HBF provides the lowest cost, size, weight and power consumption (C-SWaP) over legacy technologies such as phased array and MIMO. Pivotal Commware develops communications platforms, systems and applications based on Holographic Beam Forming™. HBF antenna technology enables network operators to increase network speed, capacity and spectral efficiency using offer the lowest cost, size, weight and power consumption (C-SWaP) envelope available. The company is privately held and headquartered in Kirkland, Washington.